Do you believe in fate? I don't think about it often, but every once in a while, I am reminded of it. This entire outfit is the result of my latest reminder that sometimes things happen for a reason. While at Hobby Lobby, I picked up a coordinating red with white dots so I could make my 6 year old a dress. THEN, I saw a call for testers for this sweet winter trapper hat - the Rocky Mountain Hat by Little Lizard King. Of course, I immediately thought of making a Santa-inspired version using the red/white dots and lining it with some sort of fur to mimic Santa's hat. The Rocky Mountain hat's sizing will cover your whole family! I made the size small in testing. Options include ear flaps, braided ties, and chin straps. It all came together just as I pictured in my head. 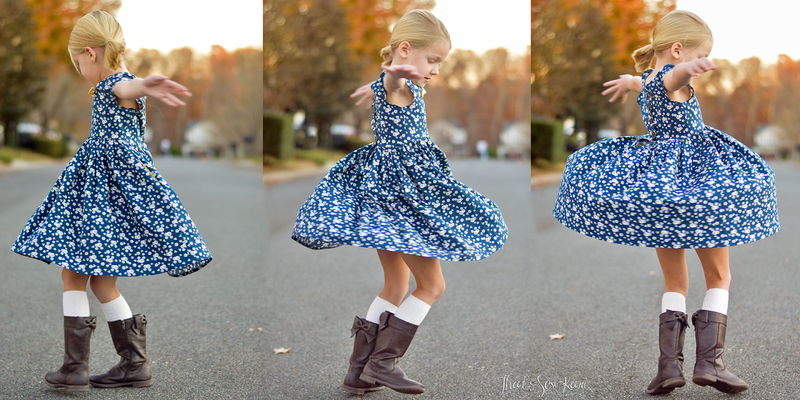 For the dress, I turned to my new favorite pattern -- the Wimberley Dress by Little Lizard King. This dress has so many options and I have only tried a few of them! This time, I added the waist tie, and left off the pintucks (only to save time.... love the tucks) and left of the ruching on the sleeves. TLDR: Got a fabric by mistake from Phat Quarters that inspired an outfit for a hat that I tested. Grab your Rocky Mountain hat for just $3 through Sunday 12/24/17 and be sure to show Phat Quarters some love!! As the temps are just starting to fall here in NC, I am already dreaming of warmer days. 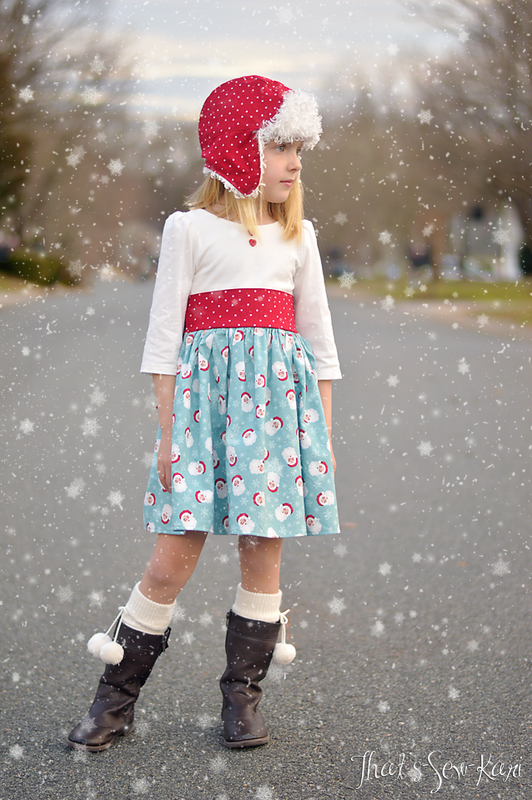 I am putting my Christmas sewing on hold (ah, who am I kidding?! I work best under pressure 😜)and prepping for SPRING!! It's easy to be thinking of Spring with Lori Whitlock's new "Happiness is Handmade" line for Riley Blake Designs. This line is the perfect balance of cheeriness, vintage and whimsy. I love the name of the collection. 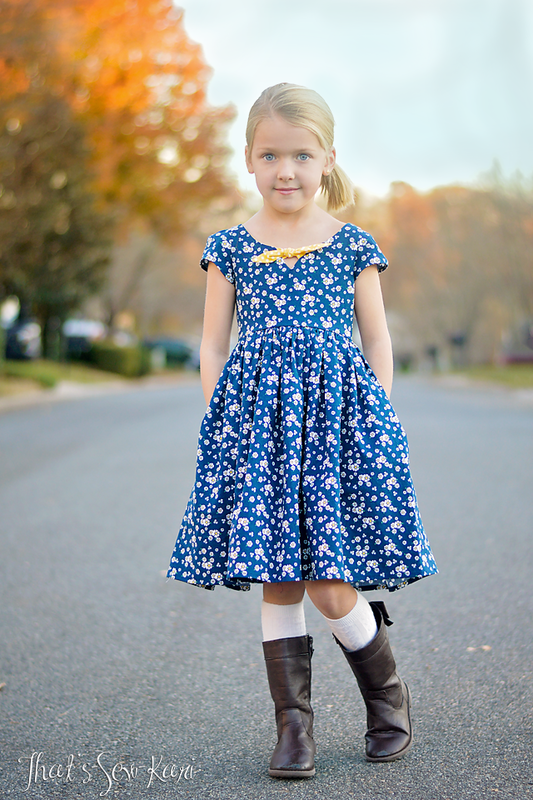 For me, the happiness my girls exude when they are proudly wearing handmade is why I sew. My youngest (and the one I chose to sew for this time around) told me something last year at age 5 that I will never forget. She said "When I wear something you've sewn me, it's like you're giving me a big hug all day." Wow. There isn't a better compliment in the world. I think of it often as I forgo an hour or two of sleep here and there to sew up something new for my girls. 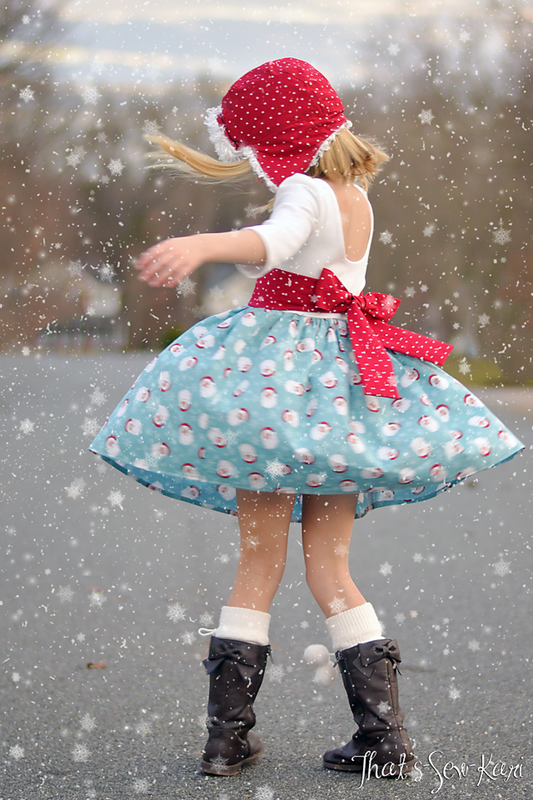 The excitement in their voices when they discover a new dress hanging on the back of their door as they wake up -- happiness is definitely handmade. It's my creativity twirling through life. I had such a hard time choosing which fabrics to select so I enlisted my daughter to help. 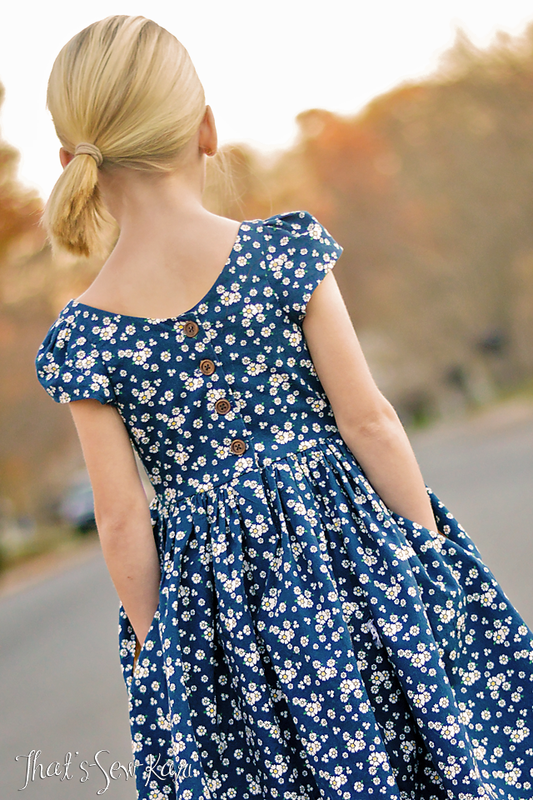 She really loved the little daisies on Happiness Floral Navy. Next, I had her choose a pattern. 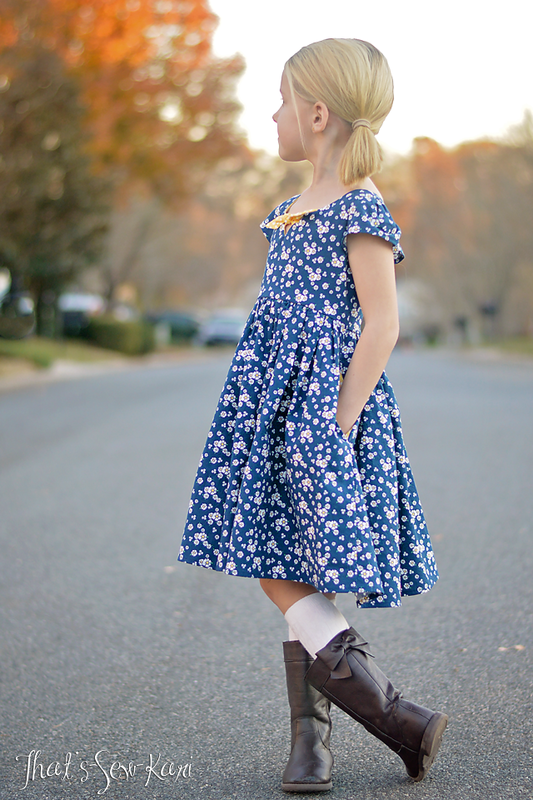 As we browsed the patterns in my pattern library, she chose the Charlie Dress by Violette Field Threads. The cap sleeves and the little knot tie in front caught her eye. I sewed the knot in Happiness Dot Yellow for a pop of yellow. 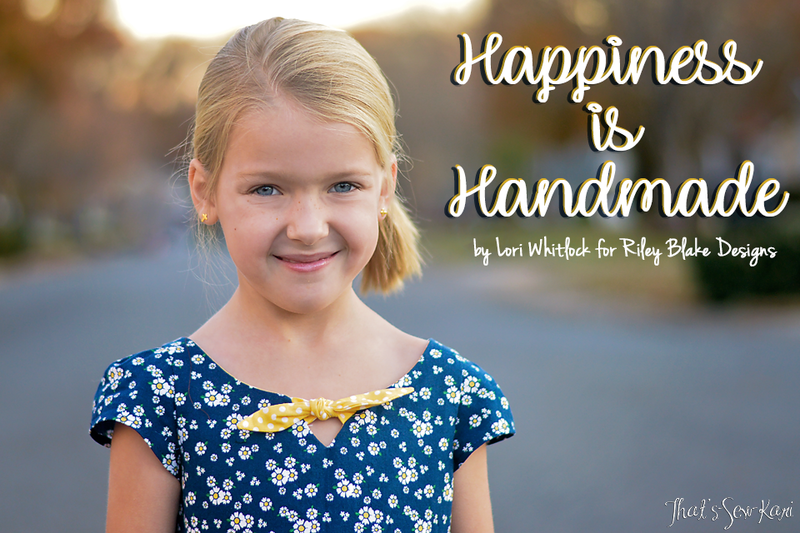 Other than the little pop of yellow at the neckline (and the pockets.... shhhh), I kept it simple and sweet with just one print -- exactly how Miss 6 designed it. 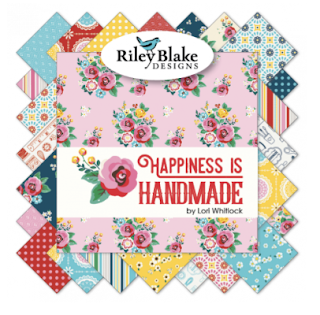 Be sure to twirl on over to the rest of the stops on the Happiness is Handmade Blog Tour!